Tokujin Yoshioka was invited by Dom Pérignon to create an artistic tribute to Dom Pérignon Vintage 2009. Inspired by the famous words of Dom Pérignon himself – ‘I’m drinking stars!’ – Tokujin Yoshioka presents “Prism”, an homage to a champagne of living light that explodes into infinite colors and triggers waves of unique emotion. Using light as both a material and a medium, Tokujin Yoshioka, whose unique style of creation is best characterized by its luminous nature and breathtaking purity, worked with his signature crystal prisms to project a vibrant spectrum reminiscent of the sun that gave the wine its rich yet elegant complexity. 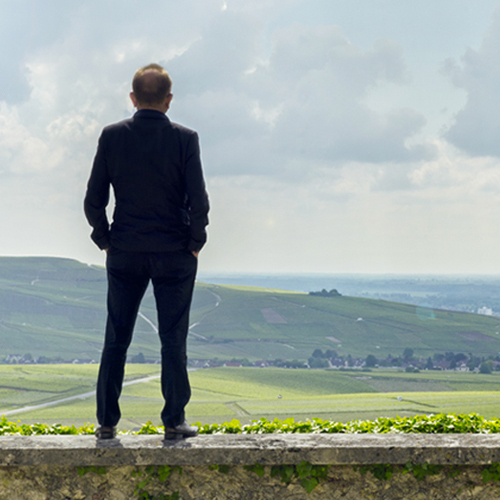 Dom Pérignon Vintage 2009 brings a prodigious decade to a close: insolent, generous and solar. To the eye, to the palate, it transmits a luminous vibration, something almost intangible yet forcefully present. This Limited Edition celebrates the sunlight that embraced the Champagne region during the harvest year.